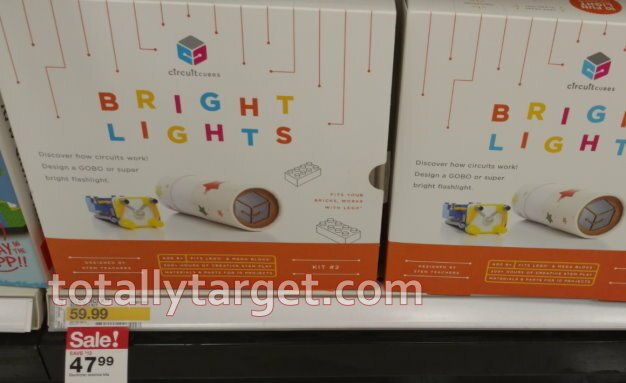 Right now Target.com is offering up $1 Off Select Party Supplies when you order online and choose ship to store or FREE store pickup. That $1 discount will come off EACH qualifying item in your cart no matter how many you order, and there are over 300 party supplies to choose from. There are quite a few lower priced items too that make for some great deals after this automatic discount. 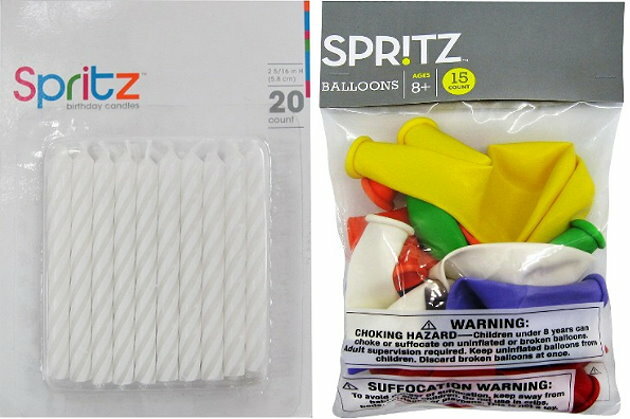 For example, the Spritz 20 count White Birthday Candles are $1.29, so just .29 cents when you choose FREE store Pick Up or ship to store. There are also 6 packs of Party Horns and 15 Count packs of Balloons for $1.50, so just .50 cents after this automatic discount. Just be sure and choose ship to store or FREE Store Pick Up at checkout and your cart will be discounted by $1 for EACH item you buy. And as always, if you have a REDcard you will get an additional 5% Off. There are lots of other items to choose from too – including several different character themed supplies. 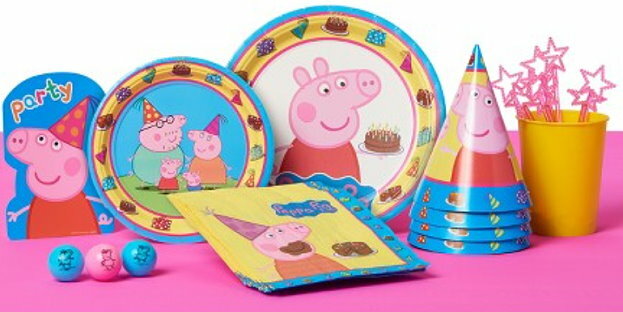 For example, if you’ve got a Peppa fan in your home and are planning a party, there are actually quite a few items that qualify for this $1 discount including plates, hats, banners & more. Prices start at just $1.67, so as low as .67 cents. And remember this $1 discount applies to each of the items in your order. Thru February 3rd, you can save an extra 40% Off Crayola beat bugs, both in stores and online at Target.com. If you are shopping online, you can choose from these qualifying items and no code is needed, sale prices are as marked. Shipping is FREE on orders of $35 or more, or choose FREE store pickup where available. And as always, if you have a REDcard you will get FREE shipping with no minimum and an additional 5% Off. 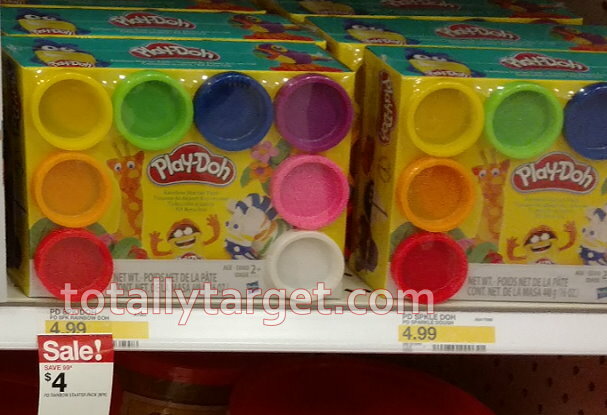 If you are shopping in stores, then just add this 40% off Crayola beat bugs Target Cartwheel offer, also valid thru 2/3. 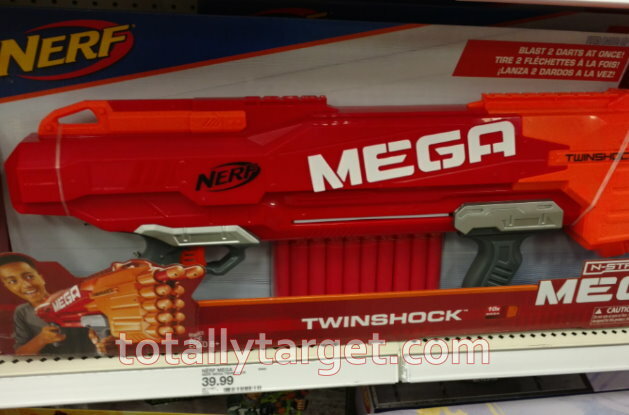 Every year in January, Target resets the toy section with new stock – and when this happens Target has major toy clearance. Usually at some point in January, a large portion of whatever survives this clearance drops down even further to 70% Off all at once. 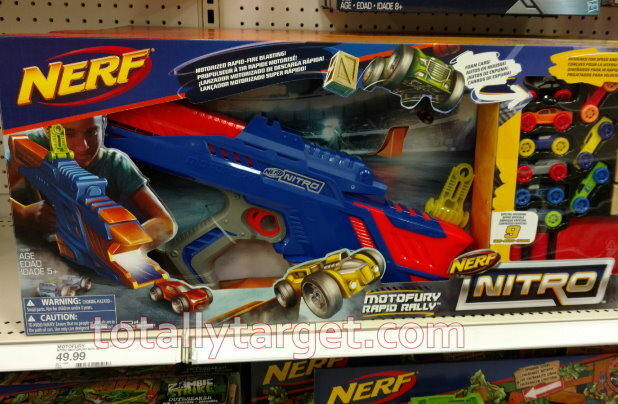 However – last year, I felt that we did not see as quite of a clearly defined nationwide drop and the same may hold true for this year, especially since there have been quite a bunch of toys found at 70% off already. It’s worth a good, long look in the toy aisles now to see if anything interests you as there is no way of knowing if what’s there now at 30 or 50% Off will survive until 70% Off. And many stores do Toy markdowns on Thursdays, so you may want to head out tomorrow to see if anything you’ve had your eye on takes another dip before it disappears. 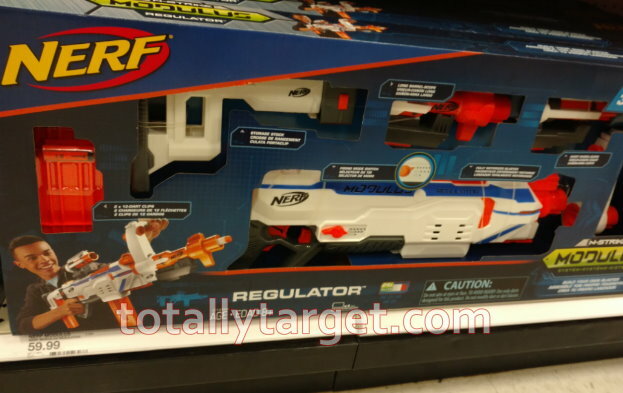 There are 5 new high-value Target Cartwheel offers available to save on 50% on select NERF toys….. 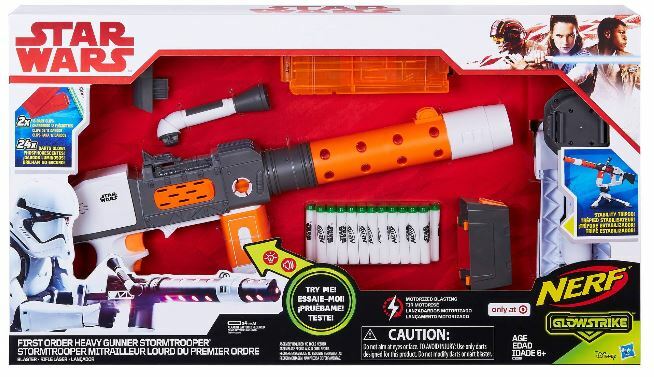 Speaking of NERF, you can also get a nice deal while supplies last on the Star Wars First Order Heavy Gunner Deluxe Blaster which is on clearance for 50% off down to $49.98 on Target.com. Keep in mind this item will ship FREE since it is price at over $35, and as always, if you pay with your REDcard you will also get an additional 5% Off. 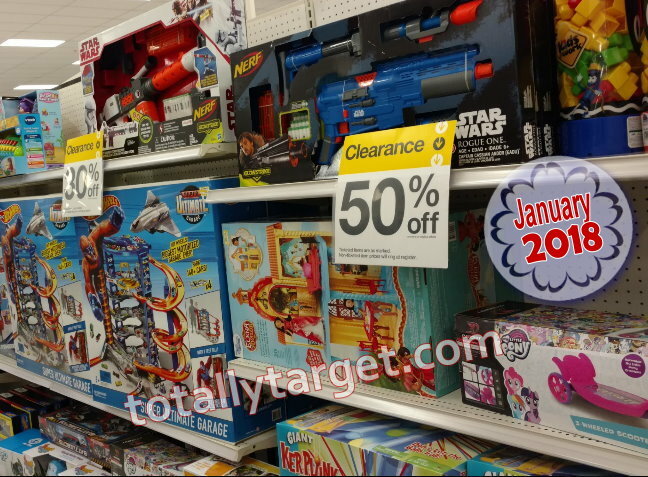 January Target toy clearance is happening right now both in stores and online. 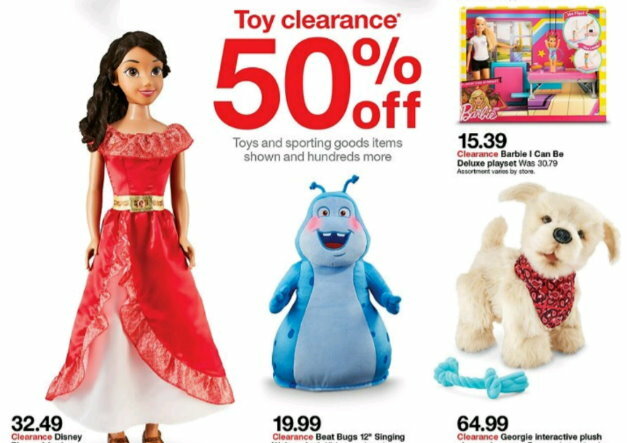 Target even has a page advertising clearance in their online versions of this week’s ad. And there are actually several different toys already as much as 70% Off in some stores. 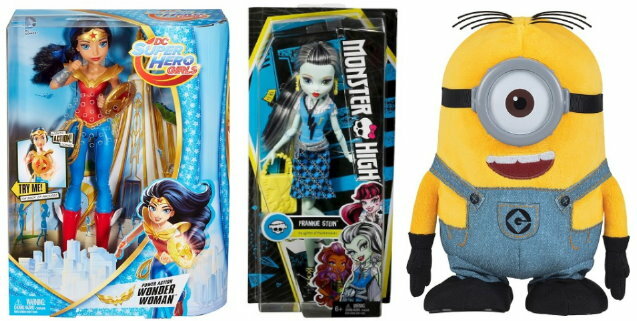 Be sure and check out the toys sections of my last couple of clearance roundup posts you can find HERE and HERE for toys to watch for. 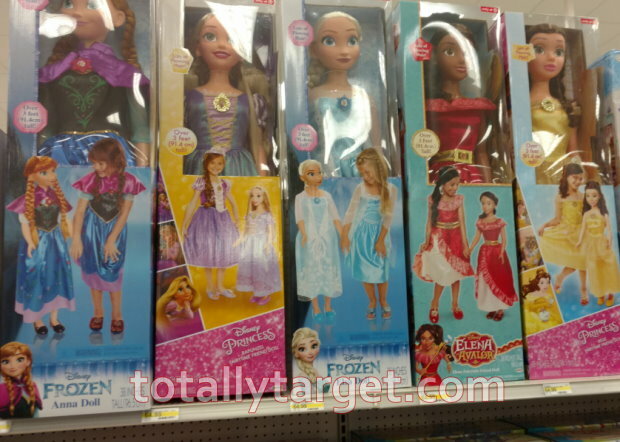 If pickings have been slim for you in stores – you can also check out the toy clearance online. 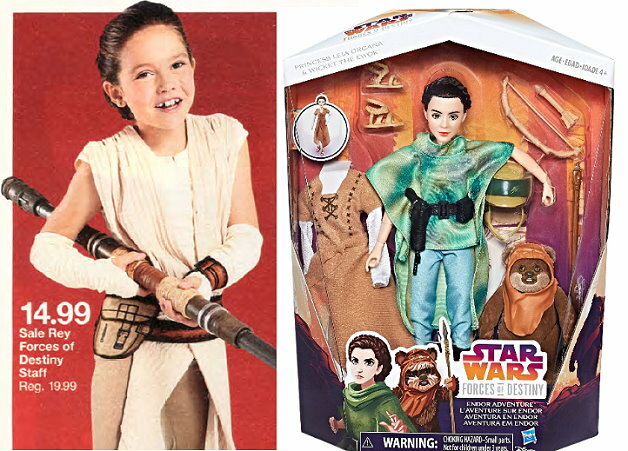 While there is not a ton of at the moment – and stock is limited – there are quite a few popular character toys at 50% Off. Shipping is FREE on Target.com on orders of $35 or more, and as always, if you have a REDcard your items will ship FREE and you will get an additional 5% Off. We have a couple of nice new high-value cartwheel offers to save on select Crayola Products at Target. 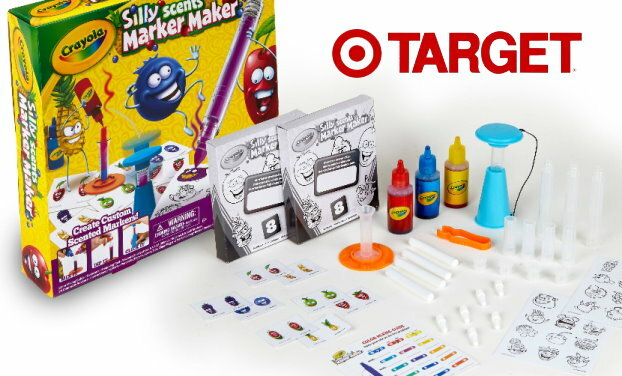 The first one is to save 40% on the Silly Scents Marker Maker,which sells for $19.99 in stores, so $11.99 after the cartwheel. However – you can save yourself almost another dollar by ordering it online at Target.com, where it is priced at $11.09. You can opt for FREE store pick-up where available, and as always, if you have a REDcard you can also get it shipped FREE and save yourself an additional 5% Off. 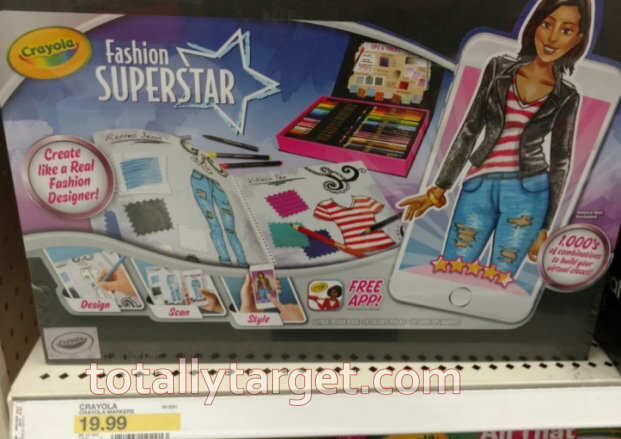 There is also a new cartwheel offer to save on the Crayola Fashion Superstar art kit. This one is a better deal in stores with the cartwheel offer…. 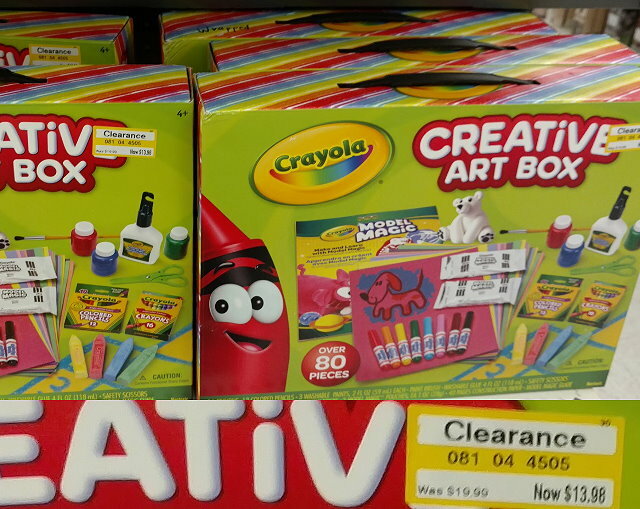 Speaking of Crayola, be sure and take a good look around for possible clearance finds up to 70% off. While clearance can vary greatly from store to store, I try & list specific varieties, prices & other details when I can for what I’ve found at my store. 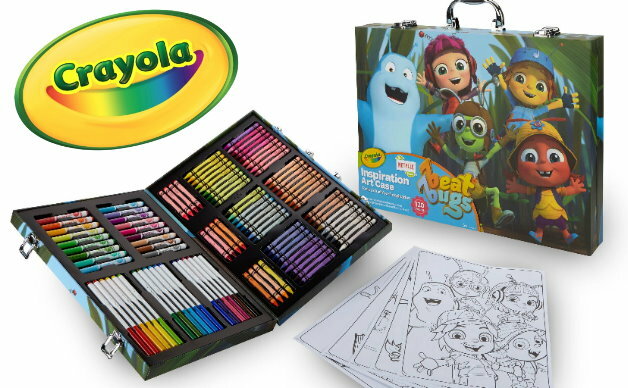 Crayola Creative Art box up to 30% off and as low as $13.98. 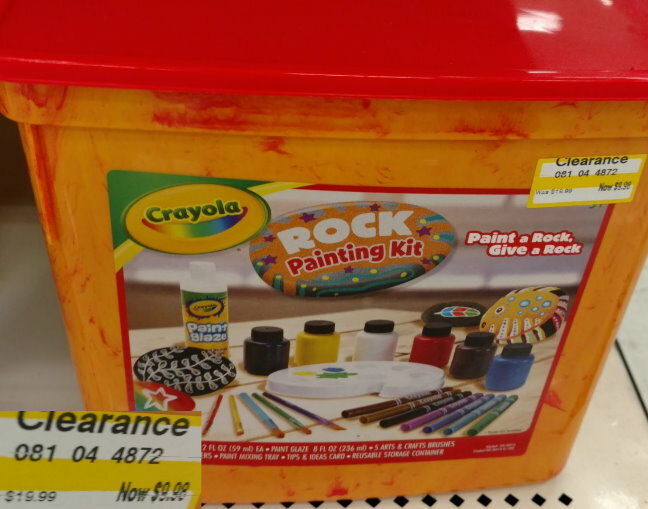 Crayola Rock Painting Kit 50% off down to $9.98. 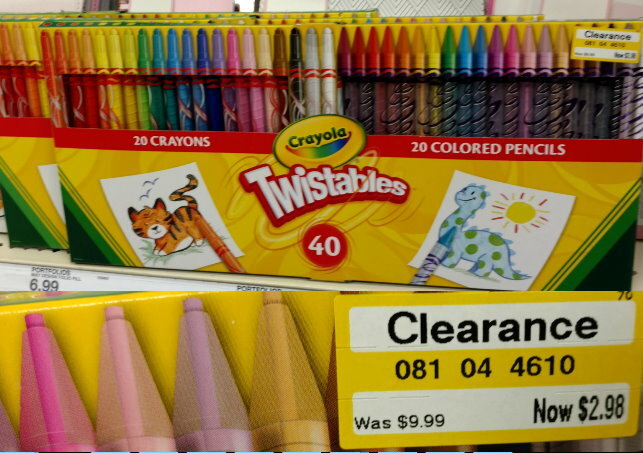 Crayola Twistables 40 count (20 crayons & 20 colored pencils) as much as 70% off and as low as $2.98. 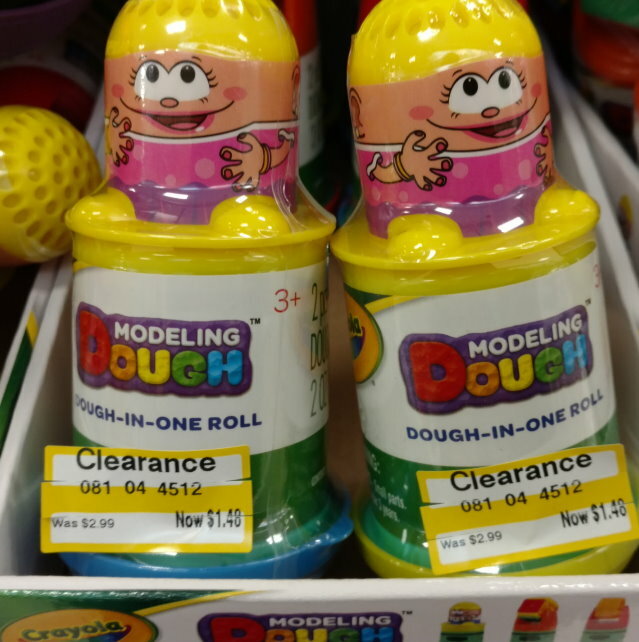 Crayola Modeling Dough as much as 50% off and as low as $1.48. = $29.99 after cartwheel & sale, reg. $79.99! *NOTE: If you don’t find these in the toy dept., look in the electronics dept. 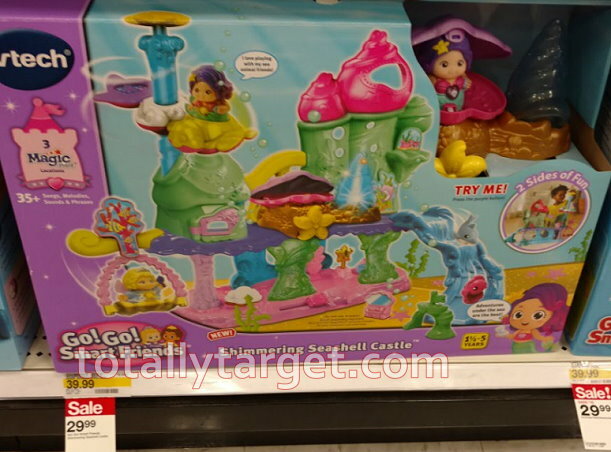 OTHER GREAT LAST-MINUTE TOY DEALS: Check out my post HERE for more great last-minute toy deals using high-value cartwheel offers & sales. Save big on Leapfrog, V-tech, PJ Masks & lots more. NEW TO CARTWHEEL? Cartwheel can be accessed 2 ways. You can access Cartwheel from a computer, browse and add offers and then print out your barcode to use in store. Or… Cartwheel can be accessed in the Target App on mobile Devices. This will allow many other features of the App to be utilized like scanning barcodes on items to see if there are any cartwheel offers and more. But keep in mind the cartwheel offer is valid on all Star Wars Forces of Destiny toys, so keep an eye out for additional deals to be had with other sales. In addition, we got a high-value cartwheel offer for the Little Tikes Waffle Train which sells for $59.99 regular price. However, all Little Tikes are supposed to be on sale this week for 10% off. 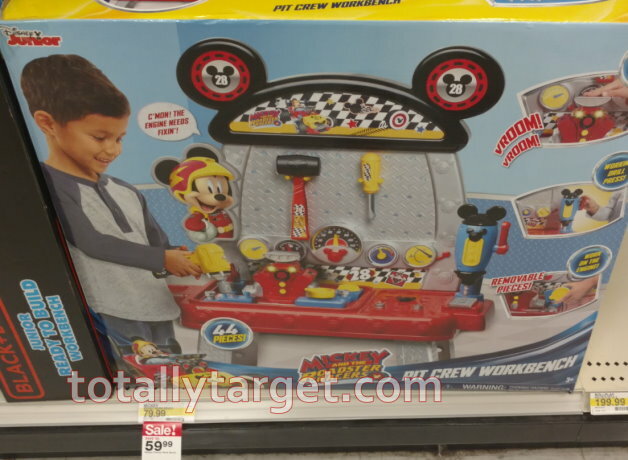 This toy was showing at regular price for me – HOWEVER – I would either show the ad at a register or up at guest services – as page 6 says that ALL Little Tikes toys are 10% off thru the 24th and this means you would get another $6 off.. 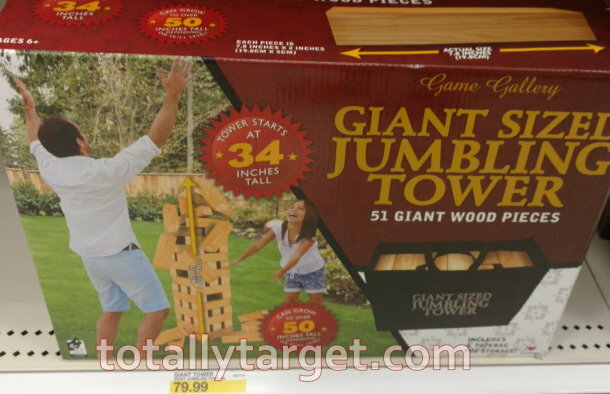 Check out my post HERE for more great last-minute toy deals using high-value cartwheel offers & sales. Save big on Leapfrog, V-tech, PJ Masks & lots more. 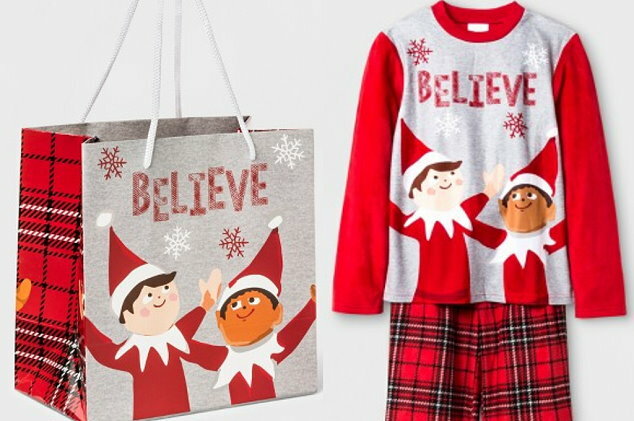 If you’ve got some Elf on the Shelf fans in your home – there’s some nice extra savings to be had at Target thru 12/24 both in stores and online at Target.com. To start with you can save 50% on Kid’s Elf on the Shelf Pajamas In Stores and online at Target.com. No code or coupon is needed, prices are as marked. Shipping is FREE online – however – if you do shop on Target.com – you will need to choose in-store pickup if you want to have it in time for Christmas. Some of these kids Jammies are super-cute too and already with a Gift Bag- so makes for a super-duper-easy last-minute gift! In addition – you can also save on Elf Pets & Elf on the Shelf Couture in stores only with a new Target Cartwheel Offer that is valid thru 12/24. 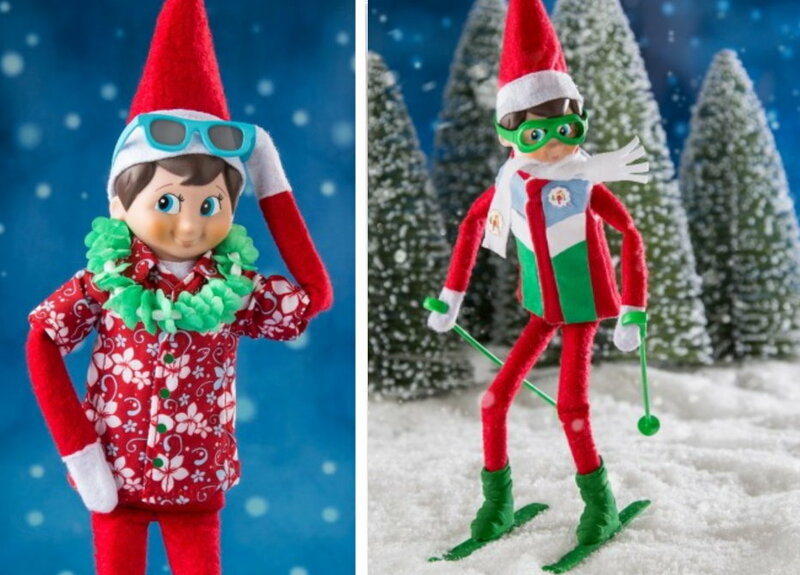 Outfits for the Elf start in price at just $9.99. You can check the Wondershop for these – however – mine have been on endcaps in the Candy section this whole season – so you may want to check there if you don’t find them.